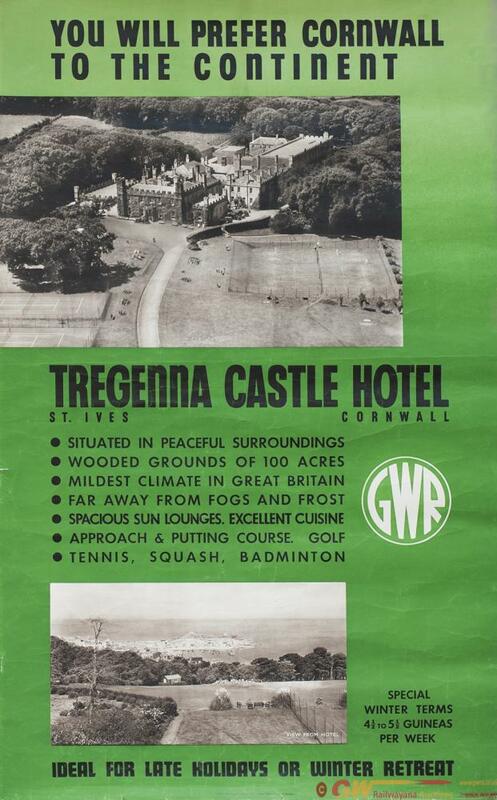 Poster GWR TREGENNA CASTLE HOTEL CORNWALL. Poster GWR TREGENNA CASTLE HOTEL CORNWALL. Photographic with 2 views of the hotel. Double Royal 25in x 40in. In very good condition with a couple of small minor edge tears.